Welcome to the first issue of Australian Self-Publisher. We are very excited to bring you a free monthly e-newsletter containing the latest Australian self-publishing news that will help keep you informed on your publishing journey. In this inaugural newsletter, you will find local and international self-publishing news, upcoming literary events, and a ‘prizes round-up’ of self-published titles that are making waves. Also, hear from previously traditionally-published author Kristin Weidenbach, who has embarked on a self-publishing journey for the first time. For those just getting started, read our tips from self-publishing expert Julie-Ann Harper on getting the right mindset for successful self-publishing. 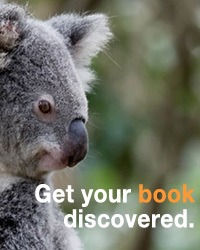 We hope you find Australian Self-Publisher informative, engaging and relevant to your needs. In fact, you can help us build a better newsletter by taking this quick survey. This is an opportunity to let us know if we are on the right track, and to tell us about the things you would like to read about most. We aim to be of service to our community of publishers, writers and content creators. If you know of anyone who might be interested in receiving this newsletter, please direct them here to sign up for free.